My Dad adores pecan pie. I created this recipe for him upon retiring from his business, with the prayer that as he embarks on his new chapter of life, he will be blessed with each new day being even sweeter than the one before. Lightly beat eggs. Add syrup, honey, butter, vanilla, and stevia. Beat well. 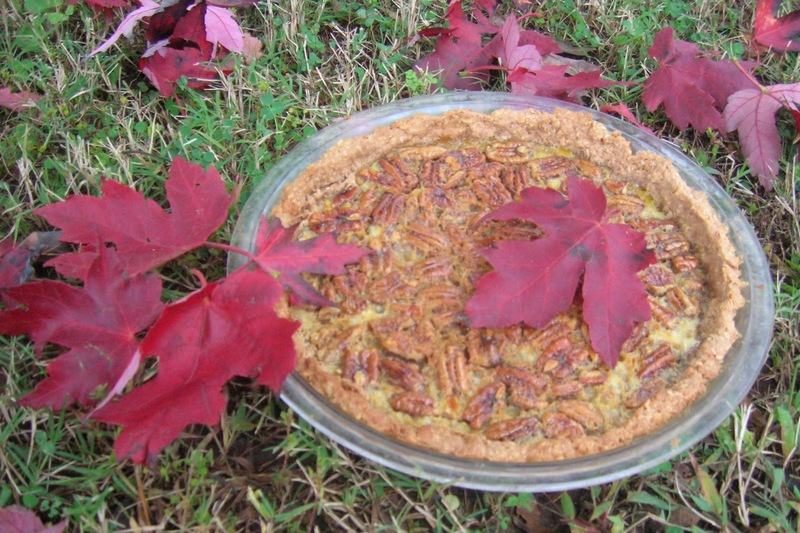 Stir in pecans and pour into pie crust. Cover crust edges with foil and bake at 350°for 50 minutes or until center is firm and an inserted knife comes out clean. Cool to near room temperature before slicing. Is it okay to post this on pinterest?